Forest Whitaker is a multi-talented Black-American actor, producer, and director whose numerous and versatile roles have established him as an A-list celebrity. Despite his hard work, success and numerous accolades garnered in the course of his career, the soft-spoken and naturally calm Whitaker has often been described as a reluctant star. He is one of those Hollywood celebrities who prefer to walk around in total obscurity, shunning the limelight whenever possible. The Oscar-winning actor was born on July 15, 1961, in Longview, Texas. He is the oldest of three children born to Laura Whitaker, a special education teacher and Forest Jr., an insurance salesman. Raised in Carson and Los Angeles, California, Whitaker was a naturally gifted athlete and first had interests in sports. He attended Palisades High School, Los Angeles where he played American football and further attended California State Polytechnic University on a football scholarship. But after being sidelined by a back injury, he transferred to the University of Southern California where he honed his other talent by studying music and drama. The Texan actor graduated in 1982 and debuted his acting career in the same year with the movie Fast Times At Ridgemont High where he portrayed the role of a footballer alongside Nicolas Cage and Sean Penn. He has since remained active in the industry playing both big and small screen roles. He has several notable movies to his credit such as the 1988 movie Bird where he played his first major role, depicting the jazz saxophonist Charlie ‘Bird’ Parker. His performance in the biopic earned him the Cannes Film Festival Award for Best Actor and a Golden Globe nomination. Whitaker’s best career performance yet would be his outstanding role as Ugandan dictator Idi Amin in the 2006 historic The Last King of Scotland. The starring role won him the Academy Award for Best Actor and several other industry plaudits including the African-American Film Critics Association Award for Best Actor, BAFTA Award for Best Actor in a Leading Role, and BET Award for Best Actor. Also, his character in the 2013 historical drama The Butler not only earned him an NAACP Image Award for Outstanding Supporting Actor in a Motion Picture but also the African-American Film Critics Association Award for Best Actor. His other notable works are The Colour of Money and Platoon both released in 1986, Good Morning, Vietnam (1987), Phenomenon (1996), Ghost Dog: The Way of the Samurai (1999), Panic Room (2002), The Great Debaters (2007), Taken 3 (2015), the Marvel blockbuster Black Panther (2018) and many others. Forest Whitaker has become a creative force to be reckoned with both in front of and behind the camera. After carving out a solid niche for himself in the industry, he also ventured into producing and directing. He has some successful films and music videos to his credit such as Waiting To Exhale (1995), Strapped (1993), and First Daughter (2004), amongst others. He also directed the music video for Whitney Houston’s Exhale (Shoop Shoop). 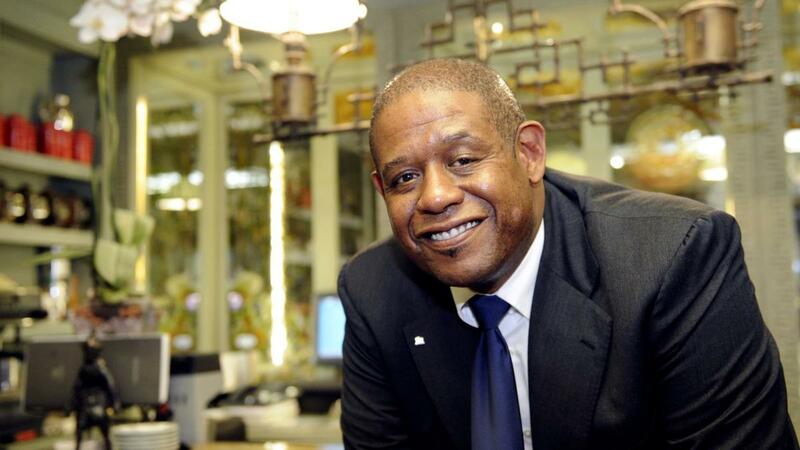 However, in 2005, Forest Whitaker chose to focus solely on his acting career. In April 2007, he was honored with a star on the Hollywood walk of fame. What Happened To Forest Whitaker’s Eyes? A very notable feature on Whitaker’s face is his drooping left eye which has been quite a curious concern to both fans and critics alike. Whitaker is well aware of the concerns about his eyes and has explained that it’s a birth defect. He suffers from a hereditary condition called Ptosis also known as ‘lazy eye’ which he inherited from his dad. Ptosis is characterized by the sagging in the upper eyelid. This condition has left him unable to fully open his left eye and also affects his vision as he loses sight when he tries to look upwards. Thankfully, the defect which has become part of the actor’s intriguing charm in his many versatile roles can be corrected and Whitaker has contemplated surgery in order to improve his vision but not for cosmetic reasons. Forest Whitaker is married to Keisha Nash, a former actress and model. The couple first met on the set of the 1993 movie Blown Away, and the relationship flourished thereon. They officially tied the knot a few years later on May 4, 1996, and have two daughters; Sonnet and True. Altogether, they are parents to four children including, Forest’s son Ocean from a previous relationship and Keisha’s daughter Autumn, also from another relationship. Through his various creative industry efforts, Whitaker has amassed a good fortune for himself with a net worth estimated at $15 million. Whitaker is a philanthropist and an advocate for global causes and spends part of his wealth on charity. In 2012, the Oscar-winning actor established a non-governmental organization, the Whitaker Peace, and Development Initiative, which is aimed at helping marginalized communities torn apart by violence in Africa and North America. He is also the co-founder of the International Institute for Peace (IIP) at Rutgers University in Newark, New Jersey. More so, Whitaker is a vegetarian who promotes the course through the People for the Ethical Treatment of Animals (PETA). In recognition of his leading efforts on global sustainability issues, the multi-talented actor has been named a UNESCO Goodwill Ambassador for Peace and Reconciliation as well as an advocate for the UN’s Sustainable Development Goals (SDGs).